Chapel Orchard is in the historic centre of Orwell, close to the Norman church and adjacent to the probable medieval manor house. It has been orchard and garden ground for at least three hundred years, as the map opposite shows. In 1686 it lay on the west side of the land which was once the Town Green but had been partly enclosed and built upon. 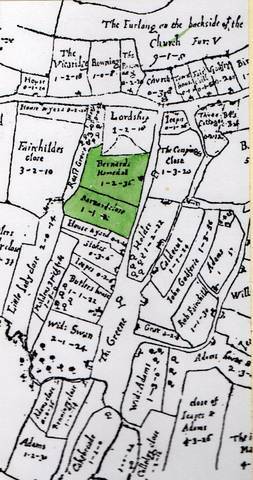 The orchard at that time was Richard Barnard’s ‘homestall‘ together with his Close, where he allowed Congregationalists to be buried because non-conformists were at that time denied burial in the parish churchyard. 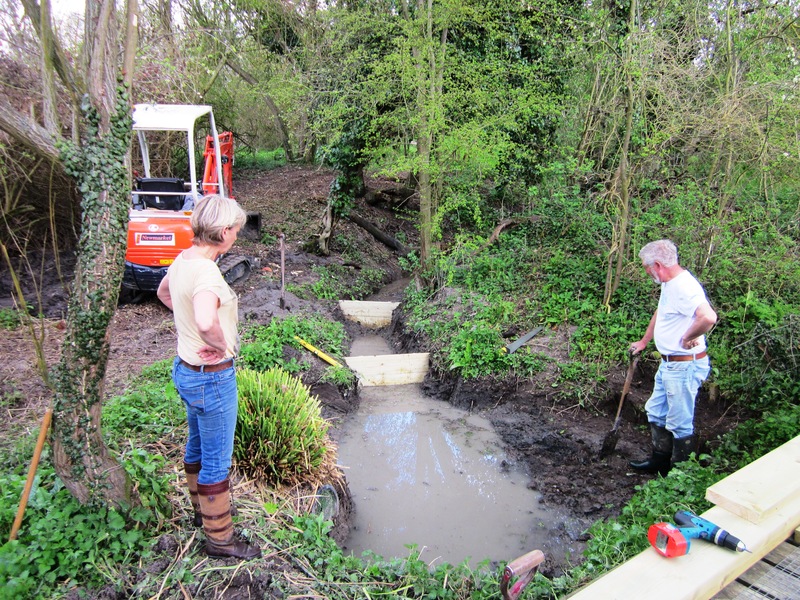 Springs that once rose on Fisher’s Lane and on the land marked as ‘Lordship’, now run through pipes to feed the dip well and stream in the orchard. Nearby households drew their water supplies from this well as recently as the 1940s. 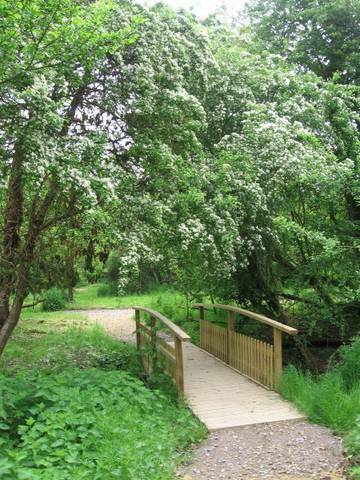 The stream which flowed down to Town Green Road until 1964 was dammed for use as a water cress bed in the 1930s, and the cress was marketed at Biggleswade. South Cambridgeshire District Council purchased the orchard in the 1960s for future residential development, but in 2005, following a spirited campaign by many Orwell residents (including a petition of 221 people in ten days) the parish council secured a lease of 21 years for its use as a Village Green Space. officially opened by local MP Andrew Lansley on July 2nd 2006. With tremendous local support, pathways and clearings were made through the dense undergrowth that covered the site. Funds were raised to pay for bridges, a boardwalk and a path for easy access, and the well was reconstructed. Grants from the Local Heritage Initiative and the District Council made a major contribution to these costs. 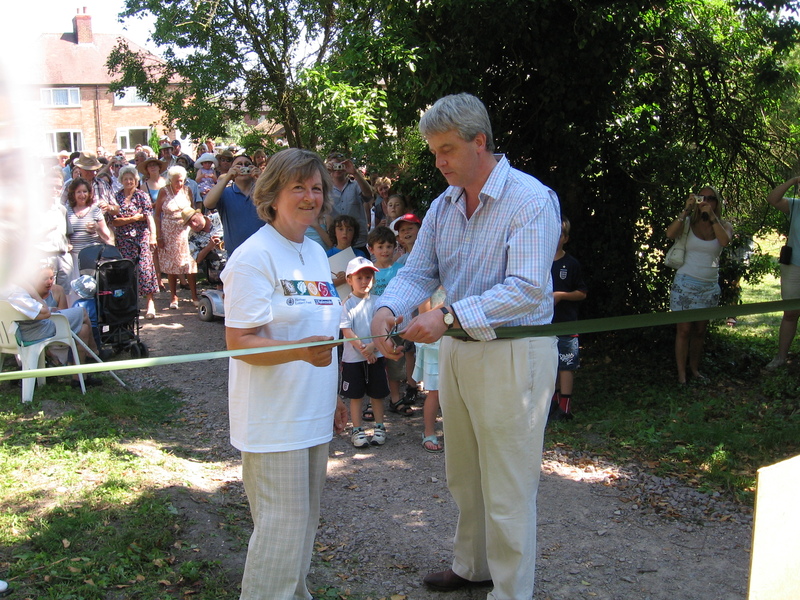 The scheme was officially opened by local MP Andrew Lansley on July 2nd 2006. 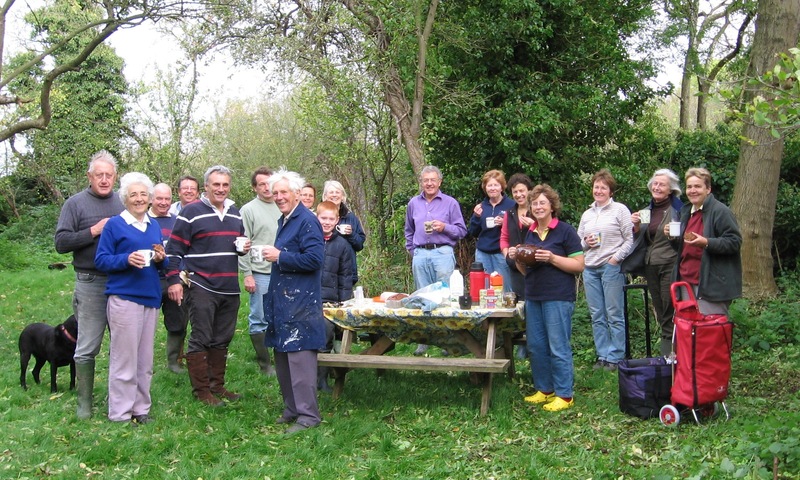 Chapel Orchard is maintained by a committee of Orwell residents, aided by many local volunteers. Work parties regularly meet to conserve and maintain the orchard's varied habitats. 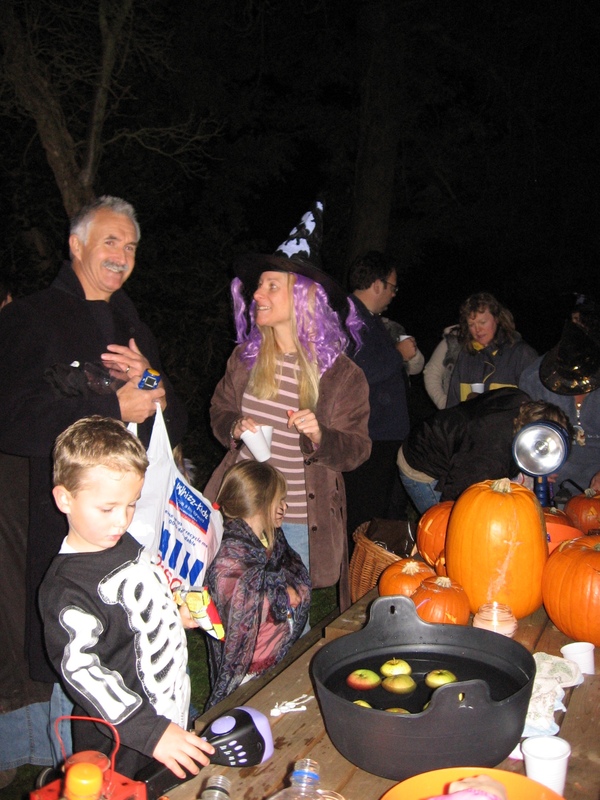 The Orchard is a village facility and is open for anyone to use at any time. It provides a chance to escape from over-developed village streets, and is an ideal place for children to make dens, climb trees and to explore. In fact, to have the kind of childhood that anyone living in the countryside has every right to expect. The fruit is there to be picked and used by everyone. The bullace plums make wonderful jam! Visitors and residents are encouraged to find time to enjoy the orchard; bring a picnic, listen to the birds, or look for flowers. Leave no litter and respect all forms of wildlife that make their home here.